But I don't know how to get to there. I've looked all over the FAQ and it mentions chat but I don't see the link. How do I get to chat? You're right to want to come to chat. 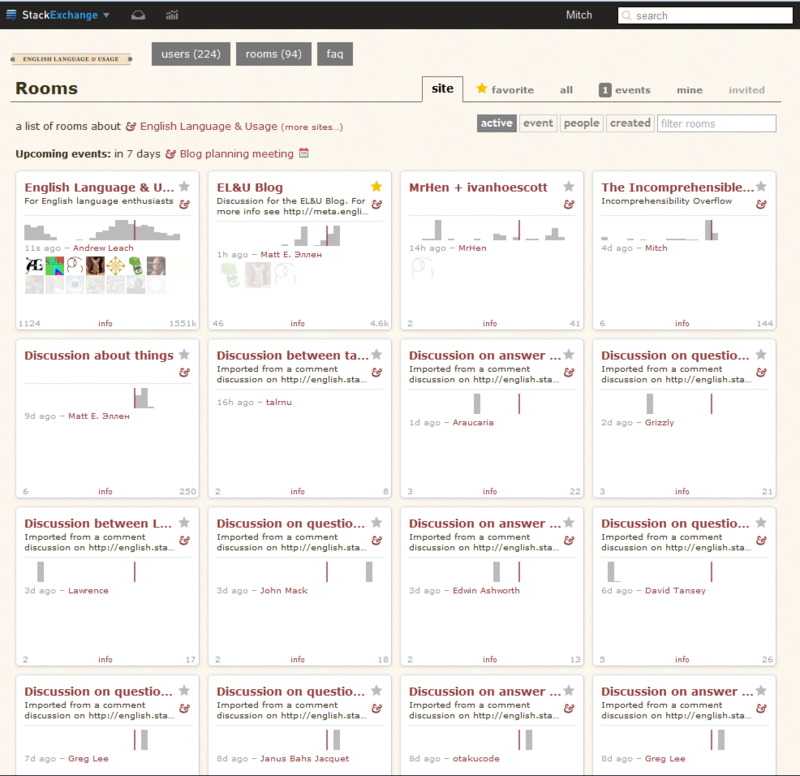 It's a wonderful place where lots of great and constructive discussion happens. 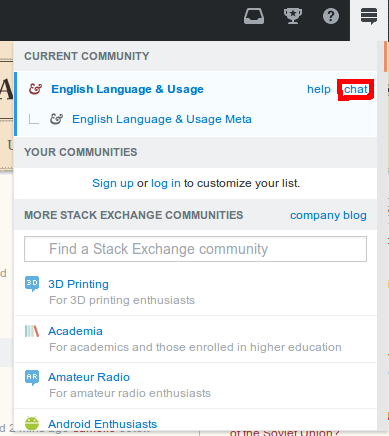 There you'll see the Stack Exchange logo. Click on that and a menu will appear. This is the list of chat rooms. The first in the list, as it's shown there, is the one you're most likely to want to visit, that's the English Language & Usage main room, called English Language & Usage. It's worth noting that the rooms are ordered by activity, so sometimes a different room will be first in the list, but mostly not. Be sure to read the chat FAQ and the chat help before you start chatting, to familiarise yourself with how it works.